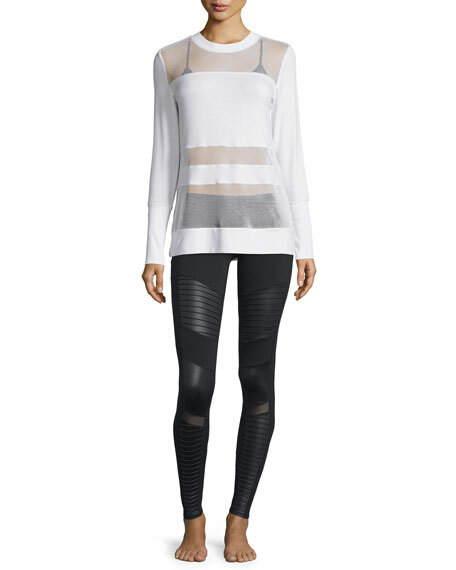 Alo Yoga moto-style performance leggings in mixed matte/shine fabric. Hidden key/card pocket in waistband. Alo Yoga "Lush" glossy performance bra. 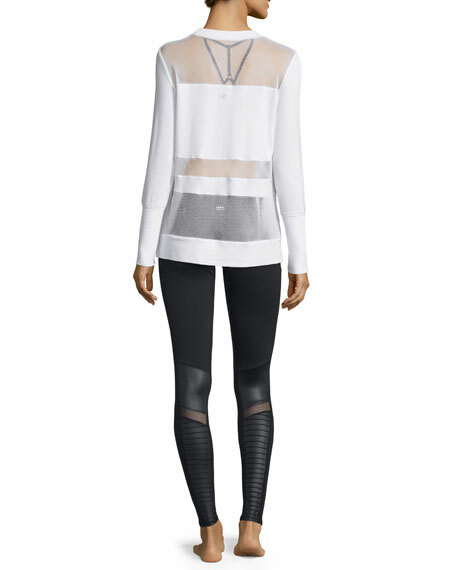 Banded under bust; pullover style.